Christmas is just around the corner and not only does this mean frosty mornings, shorter days and moring de-icing it also mean baubles, tinsel, fairy lights and all things festive! The most magical time of the year is a great time to get involved in a good cause and that is why Howards Motor Group are proud to be part of Save the Children’s Christmas Jumper Day! 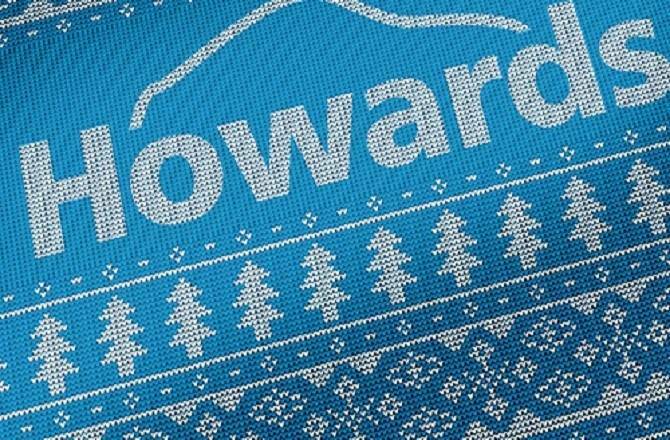 Howards will be taking part in Christmas Jumper Day on December 15th, when thousands of people across the country will be donning their most festive, wonderful (and most probably cheesy) apparel! With £2 donated from everyone taking part which’ll go straight to Save the Children, what better reason to don your most wonderful of woolies! Howards have always prided themselves on getting involved with an array of local businesses and charities. This year so far they’ve been involved in successful fundraising efforts for Macmillan and were one of the main sponsors for Weston Hospicecare, amongst others. So, why not pop down to one Howards dealerships across the South West and do your bit for children across the world. Your support can help protect children from easily preventable yet still deadly diseases.